Little Miss Hood's Adventures in Kindergarten: 5, 4, 3, 2, 1 ... BLAST OFF! 5, 4, 3, 2, 1 ... BLAST OFF! Hey friends! 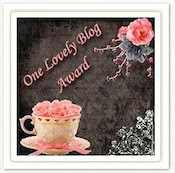 I'm so glad that you dropped by my blog today! You're in for a treat! Today I am sharing a few highlights from last weeks space unit. I know that you're all in suspense, so lets get down to business. We kicked off our space unit by reading books about space. These are a few of my favorites. We watched a Brain Pop Jr. movie about the Solar System. I am always amazed at how much information they pick up after watching these short movies. The students helped me fill out these charts after we read Life in Space and The Planets A Stickerbook. I found the idea for the astronaut anchor chart on Mrs. Williamson's blog Welcome to Room 36!. Her anchor charts are truly amazing! Go check out her blog if you haven't already! We learned the words and movements to a fingerplay called Five Little Spacemen. Here is a picture of this weeks writing center. I included some space vocabulary words and the names of the students in the class. The object of the center was to choose a person and a place to make the sentence complete. What space unit wouldn't be complete without a giant floor puzzle of the Solar System? Everyone had a chance to put the puzzle together during centers. To wrap up our space unit the kinders made astronauts (with a little help from Miss Hood). I think they turned out so cute! Thanks again for taking time to read my post. Don't forget to leave me a comment I would love to hear from you. Your astronauts are adorable! I love how you have them upside down and right side up, too! I'm your newest follower! I love the writing center idea! Thanks for sharing!